This photograph was taken on December 5, 2006 on the occasion of Governor Linda Lingle’s second inauguration. The ceremony was at the State Capitol rotunda. In the photograph are Franklin Ho, Darryl Bactad, Gary Hema, Norton Molina. 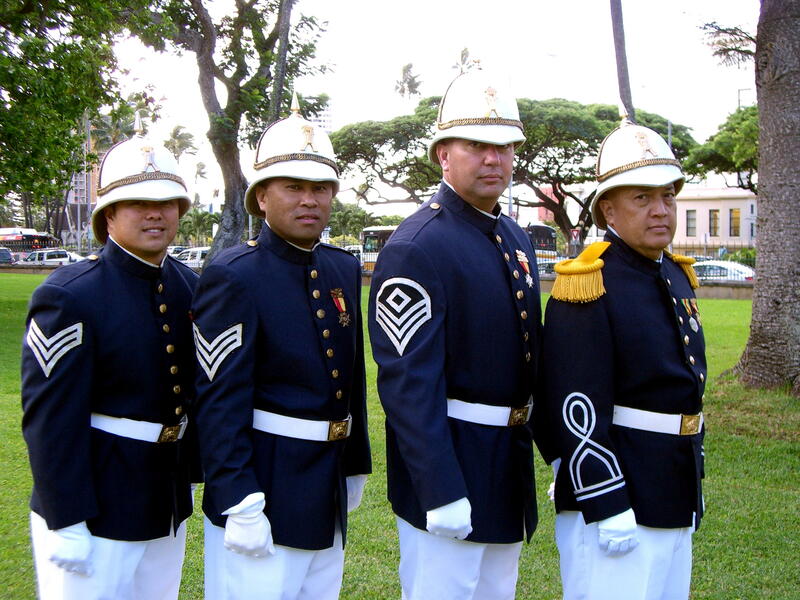 Frank and Darryl were sergeants, Gary was the First Sergeant and Norton was the Kapena Moku (captain).